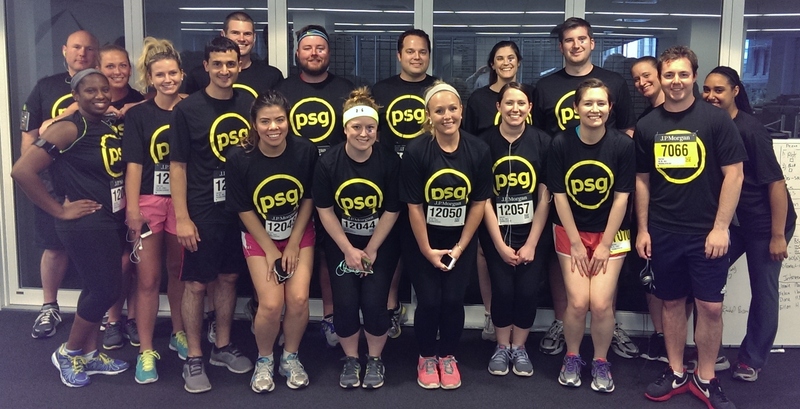 Congratulations to all of the PSG staff members who participated in this year’s JPMorgan Chase Corporate Challenge®. This is the 5th year PSG has fielded runners for the 3.5 mile race. PSG’s runners joined 12,000 other race entrants from 585 different companies. On behalf of all the participants, J.P. Morgan made donations to BUILD and The Greater Boston Food Bank.